Alvarez Guitars are one of the longest-running names in the acoustic guitar world. They’ve been making instruments longer than Taylor, Sigma, Faith and many other top brands, and they’ve been played by countless world-class artists over the years – and with good reason. They’ve also proved to be a hit here at Andertons, among staff, customers and guests alike. With a little help from Alvarez’s Senior Vice President Chris Meikle, we delved deeper into the reasons for Alvarez’s incredible reputation. Alvarez was founded in 1965 by Gene Kornblum of St. Louis Music. When Gene met with legendary Japanese luthier Kazuo Yairi a few years later, a partnership was formed that would change the acoustic guitar industry for good. One of the biggest innovations at the heart of the Alvarez range is their bracing. Chris Meikle, Kazuo Yairi and the team went through 18 different iterations before landing on the perfect design: FST-2. This stands for Forward-Shifted Type 2. It was initially launched in their high-end instruments, then gradually fed into the building process for the entire range. The key to this bracing is the position; compared to traditional X-bracing, FST-2 sits slightly differently on the soundboard (under the guitar’s top) to allow more space for vibration. In addition, the shape of the tone bars (that form the braces themselves) is asymmetric; painstakingly tweaked to allow optimal resonance. Some of the bars are scalloped in the middle, while some are scalloped on the edges, allowing the perfect balance between midrange projection and depth in the lows/highs. Alvarez respect their instruments and the materials that they’re made of. They understand that the acoustic guitar is a complex bit of engineering, and every step is considered carefully. One such step that’s emphasised in their design process is the finish. It’s crucial to strike a balance between letting the wood breathe and resonate, making it look beautiful, and making it last. The company spent over a year researching different sanding methods, and eventually settled on a complex process involving hand-sanding with extreme attention to detail. This ensures crystal-clear grains and sound – let the wood do the talking. In addition, the finishing process is similarly complex. The finish is applied, sanded and re-applied several times to prevent blemishes and inconsistencies. You’ll seldom find a guitar at this price point with this much care and attention to detail! Kazuo Yairi was a big believer in the importance of getting the right string tension. He came up with a unique bi-level bridge system that angles the strings at a steeper angle. This helps to maintain consistent tension, intonation and sustain. In addition, Alvarez guitar headstocks are angled at 15°. Again, this decision was made after extensive research and many iterations. Combined with the bi-level bridge, you’ll get perfect resonance, action and tuning stability on all Alvarez guitars. All Alvarez guitars feature solid-wood tops, while many also feature solid backs & sides. An acoustic guitar top is arguably its most important component in terms of tone, so using solid wood can make a big difference. 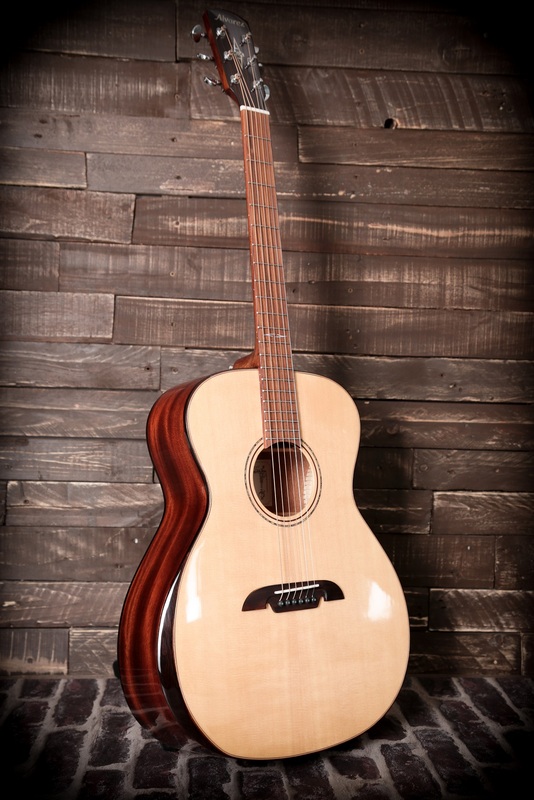 Alvarez explore using Sitka Spruce, Cedar, Mahogany and Walnut tops, among others. All of their tops are at least A grade, with many high-end models featuring A+ or AA. But one thing that’s consistent across all of their instruments is that the tops are all hand-picked for their quality. Yes, they’re all A-grade, but there’s quite a lot of variety within that range. Alvarez pay their suppliers a little extra to allow them to go in and hand-pick their favourites. 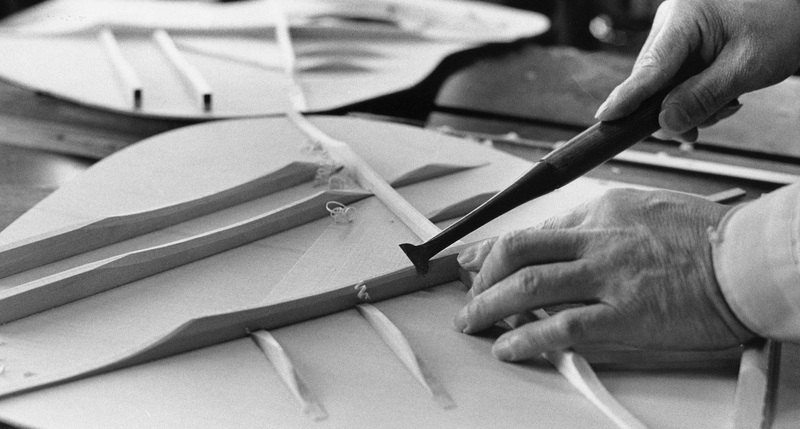 Because of this, Alvarez guitars feature premium-quality wood without the associated high price – bravo. If the quality of the wood, the world-class build quality and the variety in the range isn’t enough, Alvarez’s ergonomic design features might just seal the deal. Many models feature a complex radius neck to improve playability. It starts off as a shallow V to accommodate big chords and open voicings, and gradually transitions to a familiar C shape for smoother high-register playing. This unique profile profile is another great feature created to heighten both playability and player engagement – no matter where you are on the neck. On top of this, you may have noticed that some models feature bevelled armrests. 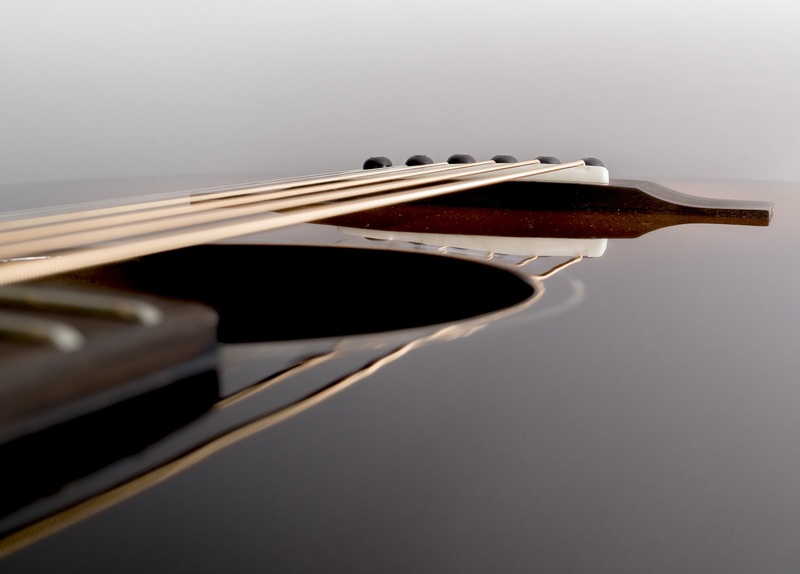 Sometimes, the right-angled edge of an acoustic guitar can become uncomfortable after a while, especially with big-bodied guitars. Alvarez wanted an efficient way to soften this angle, and came up with some bevelled edge designs for a handful of their Artist range guitars. Again, you’ll usually find this on more expensive or luthier-made instruments, but it features on many of Alvarez’s affordable models. All Alvarez electro-acoustics above the price point of the AD60 feature LR Baggs electronics. Widely considered to be among the best acoustic guitar electronics on the market, LR Baggs units can be found in some of the most sought-after acoustic guitars in the world. The Alvarez team worked closely with Lloyd Baggs himself to come up with the best combination to suit the Alvarez range. The chosen configuration was the Element under-saddle pickup and the StagePro preamp and EQ. Designed to pick up vibrations of your guitar’s soundboard, the Element provides a crystal-clear sound that works for any given style. The StagePro adds a final polish, bringing your tonewoods and stylistic nuances to life. The best bit? This package costs in excess of £200 by itself, but it comes pre-installed on selected Alvarez guitars – some of which cost as little as £440! There you have it – a handful of reasons why Alvarez guitars are just so darn popular. Everything about them is designed and considered, they ooze quality and offer value that’s simply unbelievable. What’s not to love? Click here to browse the full Alvarez range. Alternatively, why not check out some more of our learn & industry content while you’re here? Thanks for reading, folks!